Four generations of women travel on a midnight car journey. One of them is dead, one of them is dying, one of them is driving, and one of them is just starting out. Perfect for thoughtful middle-graders and young teen girls. Mary O'Hara is a sharp and cheeky 12-year-old Dublin schoolgirl who is bravely facing the fact that her beloved Granny is dying. But Granny can't let go of life, and when a mysterious young woman turns up in Mary's street with a message for her Granny, Mary gets pulled into an unlikely adventure. The woman is the ghost of Granny's own mother, who has come to help her daughter say good-bye to her loved ones and guide her safely out of this world. 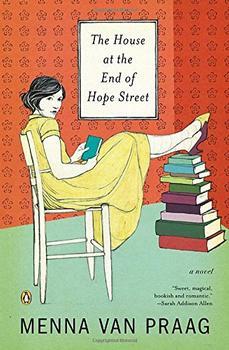 She needs the help of Mary and her mother, Scarlett, who embark on a road trip to the past. Four generations of women travel on a midnight car journey. One of them is dead, one of them is dying, one of them is driving, and one of them is just starting out. Recommended for thoughtful middle-graders and young teen girls. Mary O'Hara was walking up her street, to the house she lived in with her parents and her brothers. The school bus had dropped her at the corner, at the bottom of the hill. The street was long, straight, and quite steep, and there were huge old chestnut trees growing all along both sides. It was raining, but Mary wasn't getting very wet, because the leaves and branches were like a roof above her. Anyway, rain and getting wet were things that worried adults, but not Mary - or anyone else under the age of twenty-one. Mary was twelve. She'd be twelve for another eight months. Then she'd be what she already felt she was - a teenager. What is the significance of greyhounds in the story? If you could go back in time and ask one person one question, who would it be and what would you ask? What is the role of the flu in the story? How does it help frame the differences in the four generations of women? Ghosts are represented differently by different authors. If you were writing a ghost story, what would your ghost(s) look like? What would be the details of their haunting? Would they feel the cold, for instance? Be otherworldly-looking or ordinary? What is something all four women in A Greyhound of a Girl have in common? How does this shape the story? A sensitive, thoughtful middle-grade or young teenaged girl would be the perfect reader for this book, and her mom would enjoy making an afternoon of it too. Doyle's writing reminds me that kids do not need lurid fantasy to draw them in to literature; they are thinking about big, real-life issues just as adults are. A Greyhound of a Girl will give kids a beautiful sense of possibility as they ponder their place in history and the passage of time. (Reviewed by Jennifer G Wilder). Written mostly in dialogue, at which Doyle excels, and populated with a charming foursome of Irish women, this lovely tale is as much about overcoming the fear of death as it is about death itself. Starred Review. This elegantly constructed yet beautifully simple story, set in Ireland and spun with affection by Booker Prize-winner Doyle, will be something different for YA readers. These four lilting voices will linger long after the book is closed. Starred Review. A warm, witty, exquisitely nuanced multigenerational story. Ages 10-14. 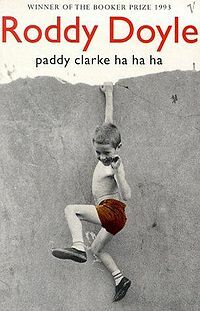 Born in 1958 in Dublin, Roddy Doyle is a prolific Irish writer who has found over two decades-worth of material in the humorous, tender, and fraught life of the family. Americans may be most familiar with Doyle's wise-cracking dialog and its lilting Dublin intonations from the popular film adaptations of his Barrytown Trilogy: The Commitments (1987), see trailer below; The Snapper (1990); and The Van (1991). The three stories center around one middle-class Dublin family and their enterprises - a soul band, a teen pregnancy, a fish-and-chips van.